The Dachshund was first bred in Germany in the 17th century as a fearless dog who would dig for and hunt badger. The Dachshund is a bold, tenacious, devoted, loving and protective dog. He has lots of energy but he is also playful, fun, happy and outgoing. He loves to be part of everything and needs lots of attention and scratches from you. He bonds very closely to his owner and will follow you around . He needs a regular though moderate amount of daily exercise and play-time inside the house, or outdoors. 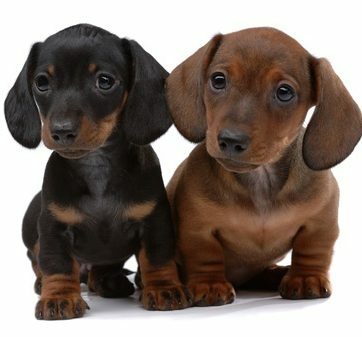 TLC Kennel has Dachshunds in most all of the popular colors.